A table lamp that boasts a stunning chrome metal shade, the Run Table Lamp from Zuo Modern is sure to dazzle consistently. 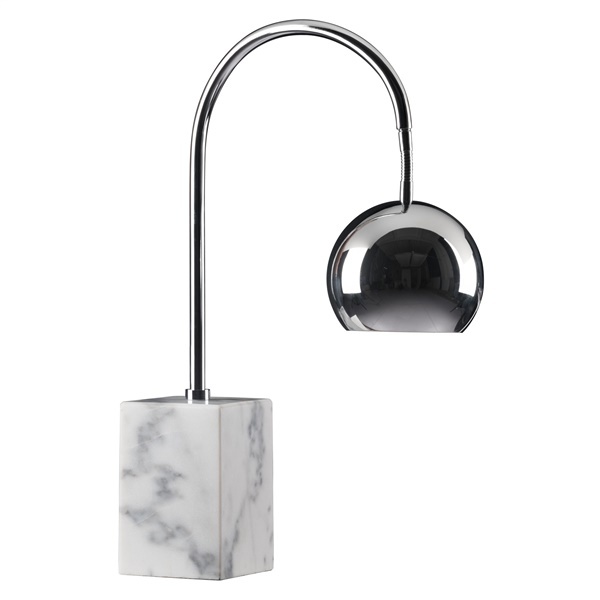 This table lamp features a solid Carrera marble base that delivers long-lasting support. Also, the lamp includes a modern arc style, making it a decorative and functional piece that will serve you well for an extended period of time. Add a unique table lamp in any home or office setting with the Run Table Lamp. Features a solid Carrera marble base that delivers long-lasting support. Boasts a chrome metal shade and frame that dazzle consistently. Modern arc style makes it easy to deliver a bold statement day after day. Unique design ensures the table lamp will stand out in any modern or retro setting.